MONTEGO BAY, Jamaica — A trip to the Caribbean for the Bobcats was, among other things, a chance to be in a warm place for the last time for the foreseeable future. The sun and a matchup against a South Florida team coming off a 10-win season a year ago lined up to be a perfect opportunity to start off the season 3-0. The Bobcats’ (2-1) offense, however, was seemingly stuck in frigid Athens, shooting just 29 percent and falling to the Bulls (3-0) 73-46 on Friday in Jamaica. 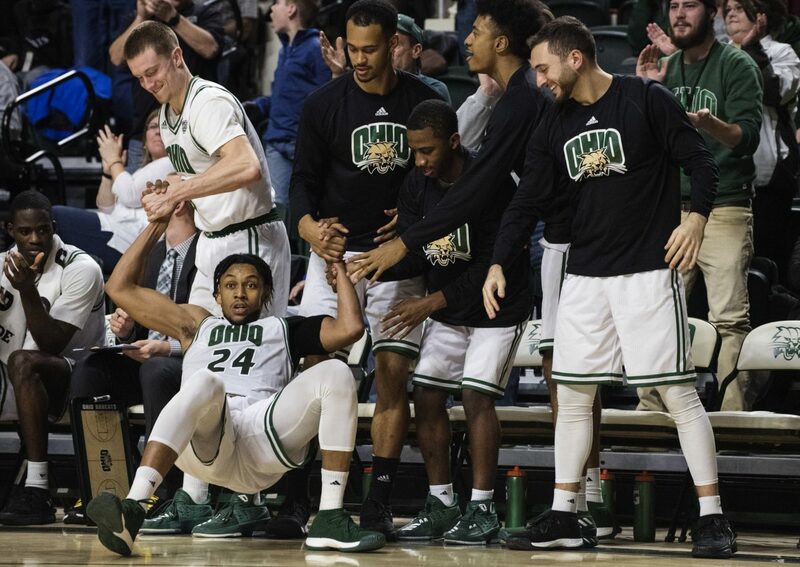 Ohio did get off to a good start in the game, getting six early points from Antonio Cowart, to pull out to a 12-7 lead with just over 11 minutes to play in the first half. But the layup scored Treyvion Kirk to put the ‘Cats up five would be their last basket for over eight minutes of game time. The next time Ohio would make a shot from the field, they found themselves down by 15, 30-15, with 3 minutes to play until halftime. The Bobcats would go on another prolonged scoring drought that carried over into the second half. In total, between the 11:32 mark of the first half and the 19-minute mark of the second, the Bobcats would go 1 of 17 from the field and see their five-point lead become an 18-point deficit. With just over 14 minutes to play in the game, Kirk went to the foul line with a chance to cut the USF lead to 14 but missed both attempts and the Bobcats never got any closer than 16 the rest of the way. Ohio turned in a night that was well below their average in every offensive category. In what could go down as their worst offensive performance of the season, the ‘Cats shot just eight percent (2 of 25) from three, turned the ball over 20 times and had nearly as many made free throws (12) as made field goals (16). Kirk scored a game-high 13 points and grabbed four rebounds, but also accounted for eight turnovers, a season-high for the sophomore. Cowart was the only other Bobcat in double figures, finishing with 10 points and five rebounds. The Bobcats will look to get the taste of this game out of their mouths when they continue play in the Jersey Mike’s Jamaica Classic on Sunday afternoon when they face Loyola Marymount.